The political turmoil and unrest of communist Romania became far too much for Dr. Ena’s family to handle. “Our family was complicated. Both my mom and dad’s sides were involved in politics before the war — before the communists took over — so we were blacklisted from early on. My dad was a historian, and especially in the ‘80s, when there were so many things that were very visibly threatening the legacy and heritage of Romania, he just felt he needed to take a stand. That didn’t go so well for obvious reasons,” said Dr. Ena. Even after growing up in a large city, New York was intimidating, and the culture shock was unbelievable. “I was terrified that I wouldn’t be able to function at the level that I was able to function at in Romania,” said Dr. Ena. “I knew very clearly what I wanted to do, and people would say, ‘You want to study art history? What are you, nuts?’” Regardless of the naysayers and language barriers, Dr. Ena went on to not only earn her master’s degree in Art History, but her Ph.D. as well, and she remained in New York for 25 years. Intrigued by religious art, Dr. Ena chose to work on her dissertation in Florence, Italy. She was fascinated by private chapels in Florence in the 14th century, and she examined their evolving architecture as they became more ornate and ostentatious into the 15th century. However, beauty aside, these chapels served a purpose: they were for burials. They were a place for families to hold masses and say prayers for loved ones. Dr. Ena spent a lot of time in two particular chapels in Florence. One day, she was in one of these chapels taking notes, and a woman came in and kneeled down in front of the altar. When Dr. Ena returned from Florence, she spent eight years serving as the Executive Director of The Museum Of Biblical Art, or MOBIA, in New York City. 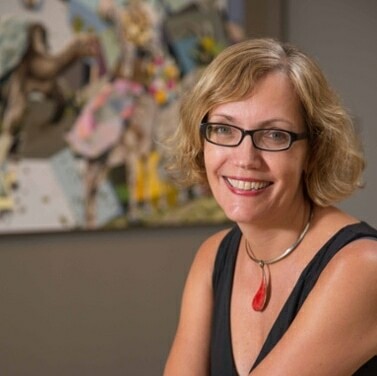 In 2012, Dr. Ena made the move to sunny Winter Park, landing at the Rollins College campus-based Cornell Museum Of Fine Arts as Executive Director. She hosts a wide variety of exhibits and finds her passion in orchestrating exhibitions that inspire and challenge and open our eyes to a whole new vantage point. “A museum should be a place of education and a place of enjoyment. Art adds so much to one’s life in so many different ways. I always talk about a museum visit as a whole education, because you can see and learn so many different things in a museum, and yet you don’t need a degree, you don’t need to travel far, and you don’t need a ton of money. Some museums are free, like ours,” said Dr. Ena.